Degree in Mechanical Engineering from the University of Coimbra Mastère in Génie Industriel et Ingenieur in l’Innovation Technologique at the Ecole Centrale de Paris. 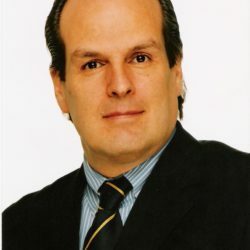 For 22 years, he has held positions as Project Manager and in the direction of consulting companies: 5 years as COO of Eurogroup Consulting, with responsibilities in Portugal and Spain; 1 year as representative in Portugal of CSC Index; 1 year as Management Consultant and Project Manager at Doctus Consulting Europe. During 10 years he was also responsible industrial and commercial director, among which: 8 years as Administrator, Factory and Production Director; 2 years as Commercial Manager.